But back on topic. I came across these burgers on one of my favorite food blogs, which I’ve previously mentioned in posts, How Sweet It Is. 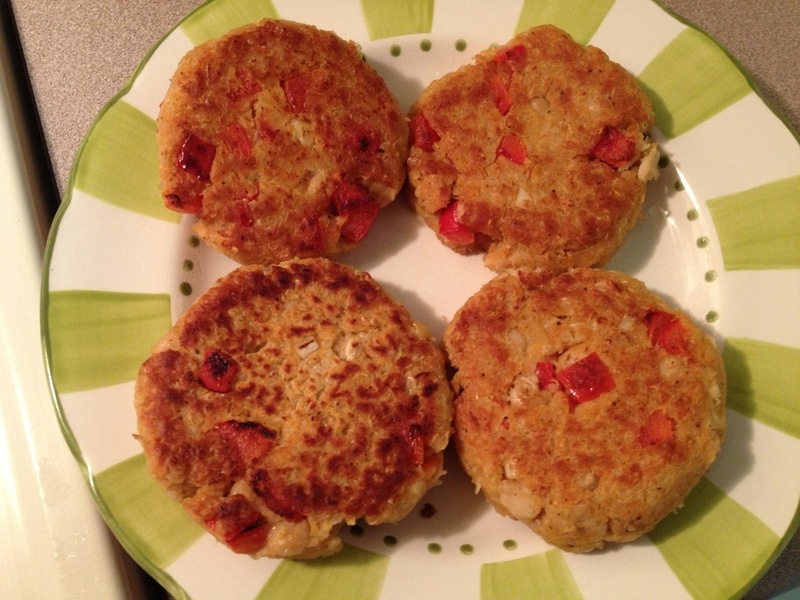 I happened to already possess most of the ingredients, and I was sold on the idea of a veggie burger with garlic and red bell pepper in it, as those are two of my favorite ingredients to cook in just about anything. 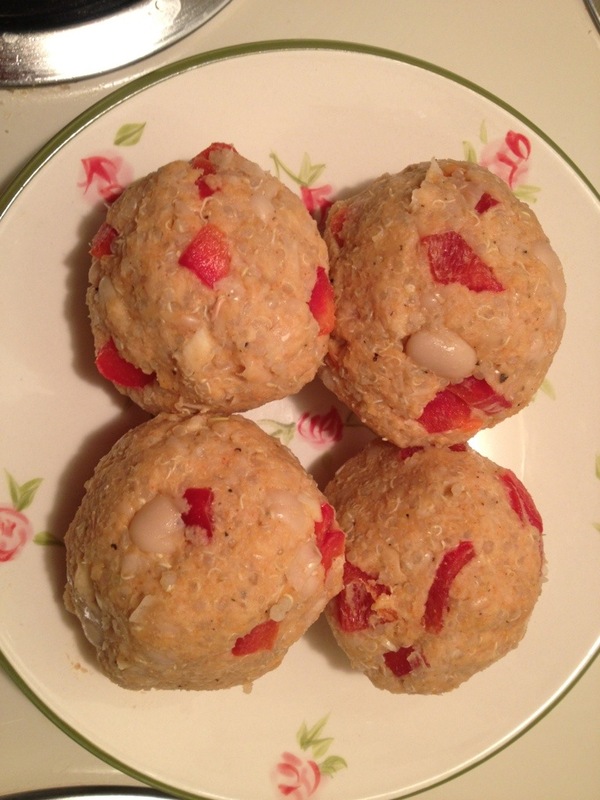 So, without further babbling or praise for my favorite food blog, I’ll share the recipe because these turned out delicious and were rather easy to put together. 1. 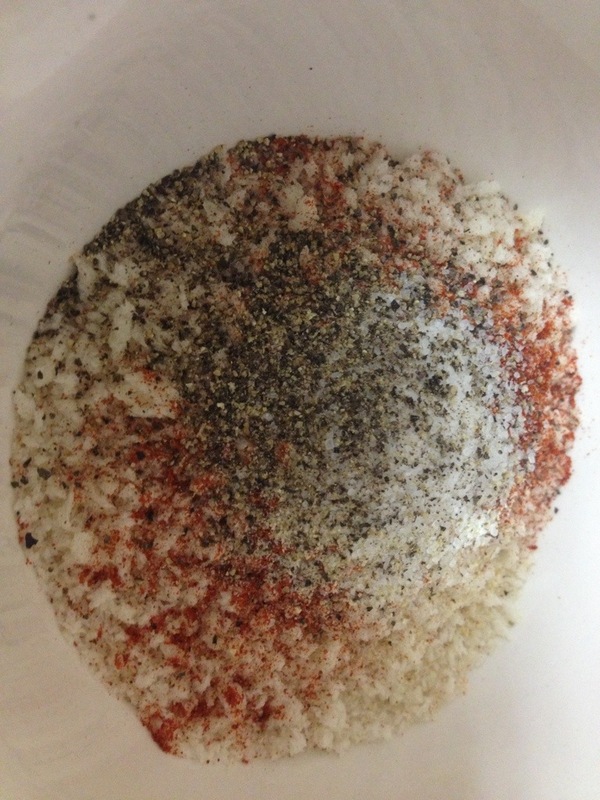 In a bowl, combine bread crumbs, paprika, onion powder, salt and pepper. 2. 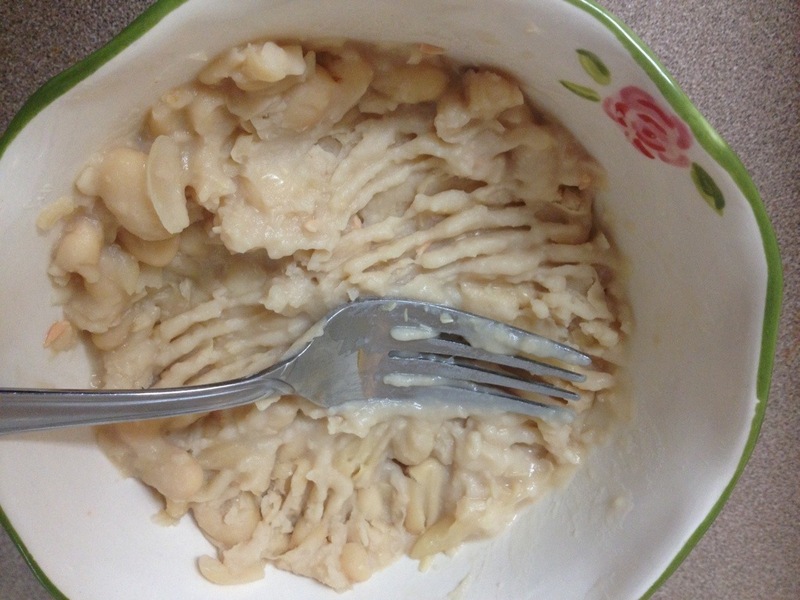 In another bowl, roughly mash beans with a fork until smooth. This is not going to look pretty. 3. 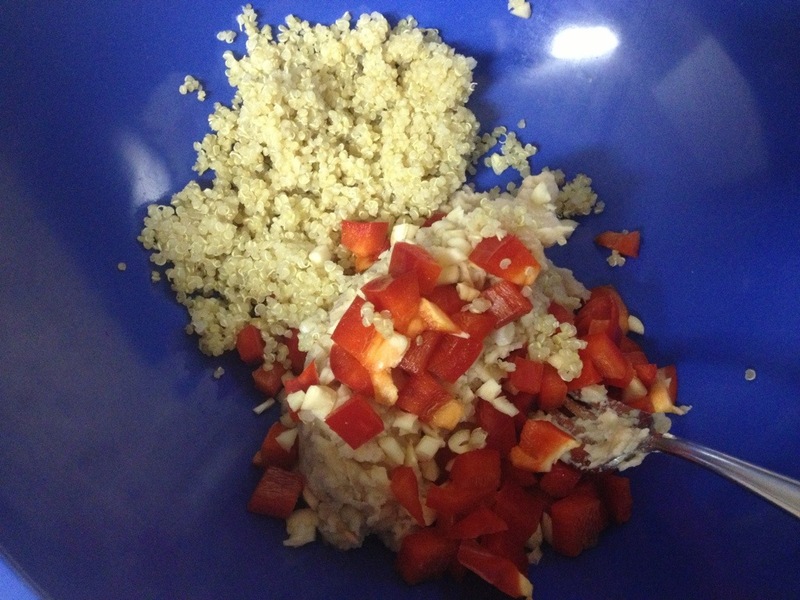 In large(ish) bowl, combine beans, quinoa, garlic, and red peppers. Stir to combine. 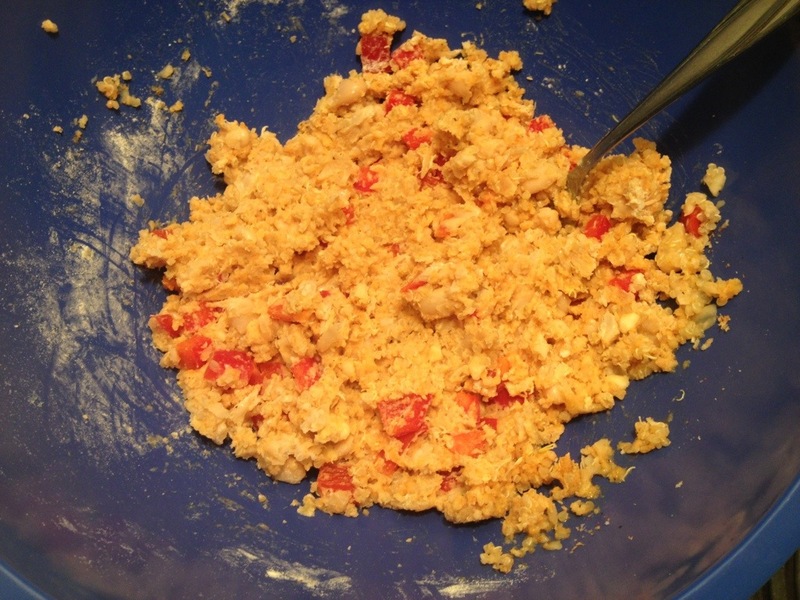 Add the bread crumb mixture and your beaten egg, and combine again. Finally, add the flour (I almost forgot!) 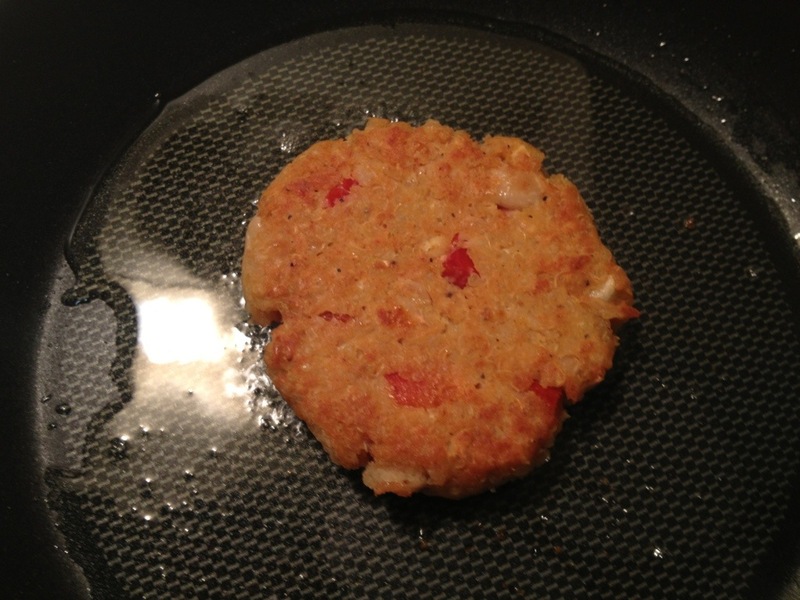 as this is an important step to ensure your patty doesn’t crumble and fall apart when you cook it. 4. 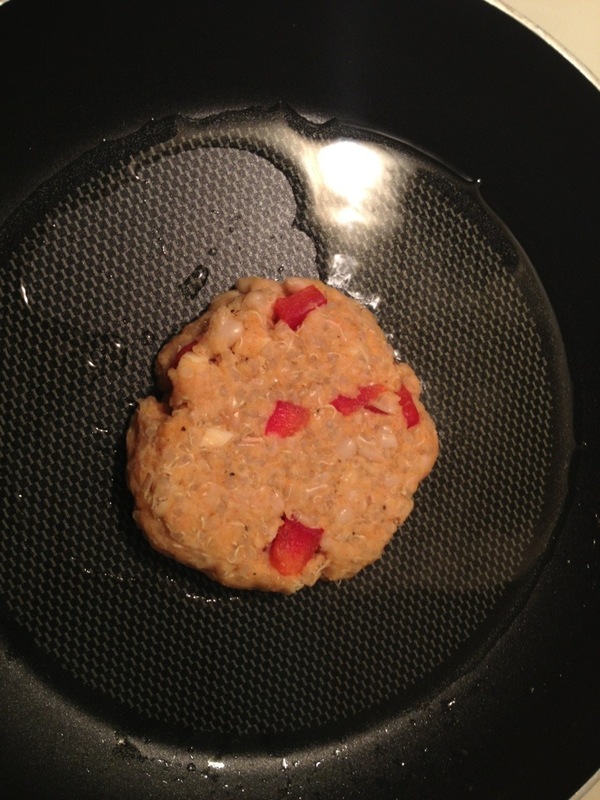 Form 4 roughly equal-size balls of…veggie patty. It’s ok if not all your beans are smashed. 5. Coat a medium-large pan with olive oil and heat to medium-high (about 7 on my stovetop.) Add your patties and flatten, making sure you press the sides with a spatula so it sticks together rather than crumbling at the edges. You may cook them all at once, but I did choose to do it separately, as it was my first time trying this and I didn’t want to ruin all of them at the same time. After about 5 minutes (depending on temperature) flip, and it should be golden-brown and crispy. Cook the other side to the same crispness and then remove from heat. Repeat for all patties.